Japan International Cooperation Agency (JICA) and Philippines’ Government signed a JPY 167.199 billion (EUR 1.34 billion), which represents the first tranche of Japan’s total commitment in providing funding support for the North-South Commuter Railway (NSCR) Extension Project. The loan will be used for rolling stock and railway system acquisition and to provide consulting services. In the same time, the project is co-financed by the Asian Development Bank (ADB). The North-South Commuter Railway (NCSR) system consists of a 147-km rail lines that will integrate the PNR Clark Phase 1 from Tutuban to Malolos, PNR Clark Phase 2 from Malolos to Clark International Airport and PNR Calamba from Solis to Calamba. The NCSR system will consist of 36 stations, 58 8-car trains, including of 7 Airport Express trains, and a fully elevated double-track railway system that will connect Region III (Central Luzon), the National Capital Region (NCR), and Region IV-A (Calabarzon). 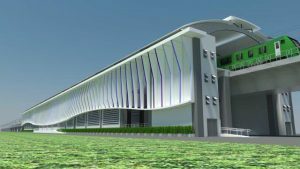 It will have seamless transfer stations with Manila’s LRT-1, LRT-2, and MRT-3, as well as with the upcoming capital’s metro system. The total value of the project is EUR 10.56 billion (PHP 628.42 billion) and it is expected to be completed in 2025, when all facilities are put into commercial service.